On Saturday morning, I went for the Good Food and Wine Show. It was held at the Olympic Park this year. My expo tickets were pre purchased online. Using a special discount code, my tickets came down to $23. RRP was $32. Each ticket has a barcode which will be read by the barcode scanner at the entrance of the expo hall. The expo hall was divided into a few sections like wine, organic food, kitchen equipment, coffee machines, etc. However the area which caught my attention was the cheese section. I didn't really take that many pictures but here are some. 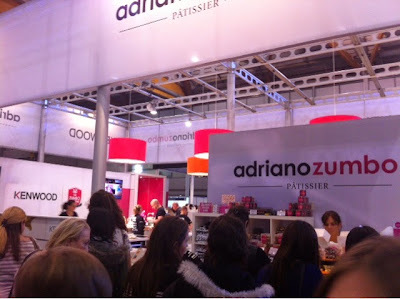 Adriano Zumbo is among one of the well know patissiers known for his macarons as well as Tim Tams. There was a queue waiting to buy up his desserts and macarons. 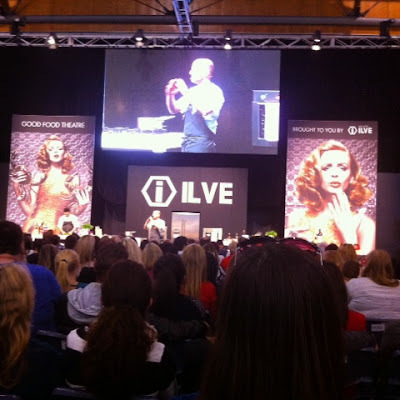 I sat down to watch George Colambaris in action at the Food Theatre where there is live cooking demonstrations. For the rice pudding, Colambaris used Japanese sushi short rice (as it was fluffier), and he mentioned to only add the sugar towards the end and let it cool. Colambaris has released cookbooks sharing his family's Greek food ancestry (which is something to tell us aspiring to enter the hospitality career). Use your chef training as well as ancestry to your advantage to market the kinds of food you can make. I also found a number of cheese stalls. I decided to enrol for a soft cheesemaking workshop. Prior to this, I had been deciding if I should go for a chocolate workshop (managed by some pastry chefs from Tafe). However as I wasn't too keen on working with chocolate, I didn't make much of a move with it. The price of the cheese workshop is actually expensive (most of them are) but considering I couldn't find any other schools, I settled for this one. Most of the cheeses require milk as the main core ingredient, with rennet and bacteria culture that can be bought. 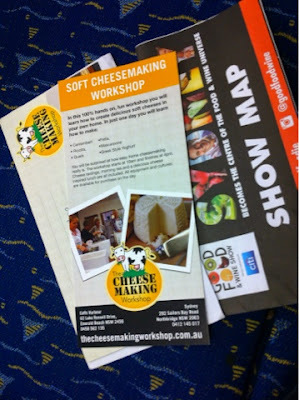 Anyways, I will know more about what cheese production requires after attending their workshops later in the week. 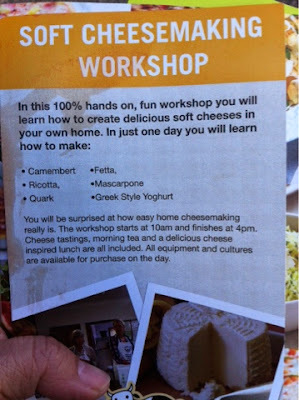 The price for the Soft Cheese Making workshop was originally $189, but it was on expo specials, so I paid $175. It was also the nearest school to Sydney compared to the rest which were in the outskirts. I made an appointment with the school to come in next week through their Facebook account and the manager replied promptly. Yeah!! Troubleshooting: Macarons with Chocolate Ganache.